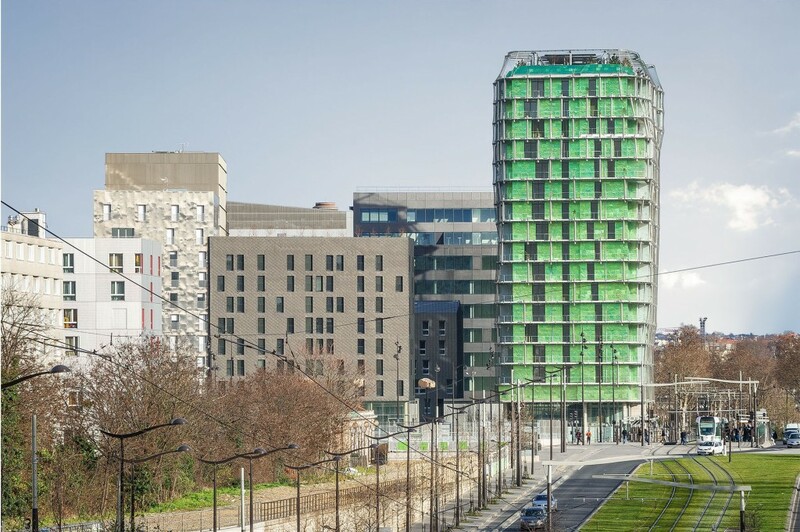 The 50-metre tall residential building of the M6B2 Tour de la biodiversité project rises from the urban landscape of Paris. 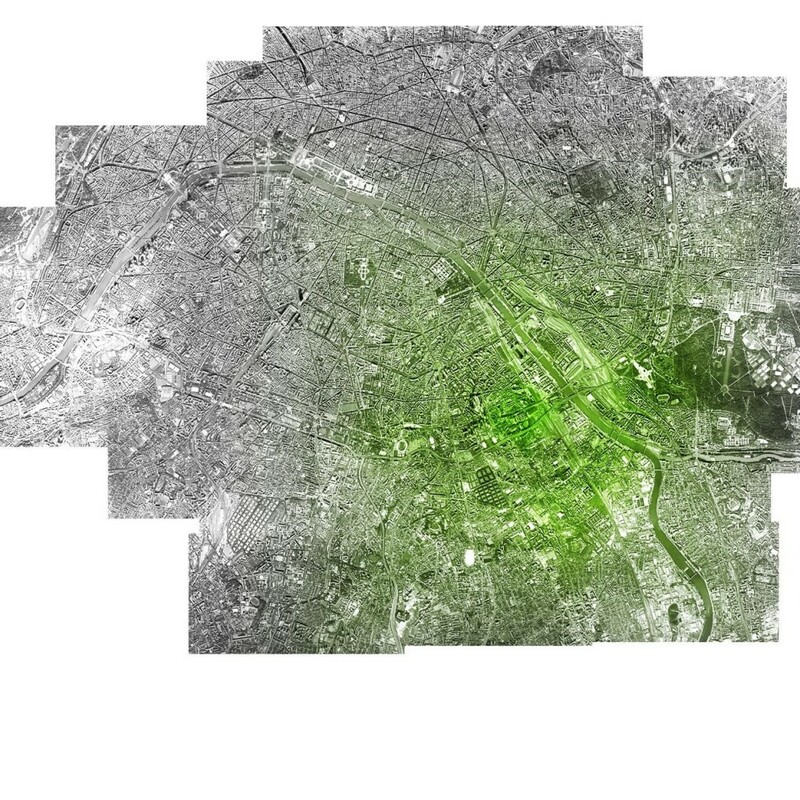 The tower was exempted from the Parisian 37-metre building height restriction, on the condition that it would be ‘green’. 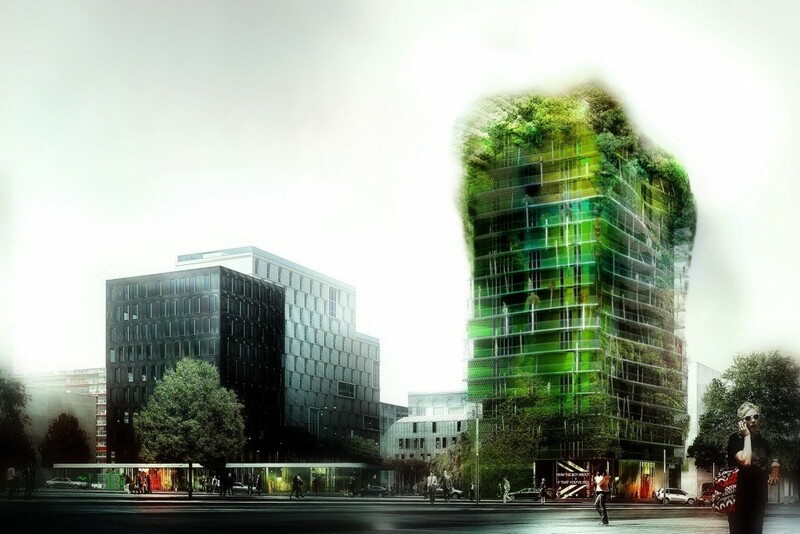 The designer decided to actively use the tower to improve local biodiversity. 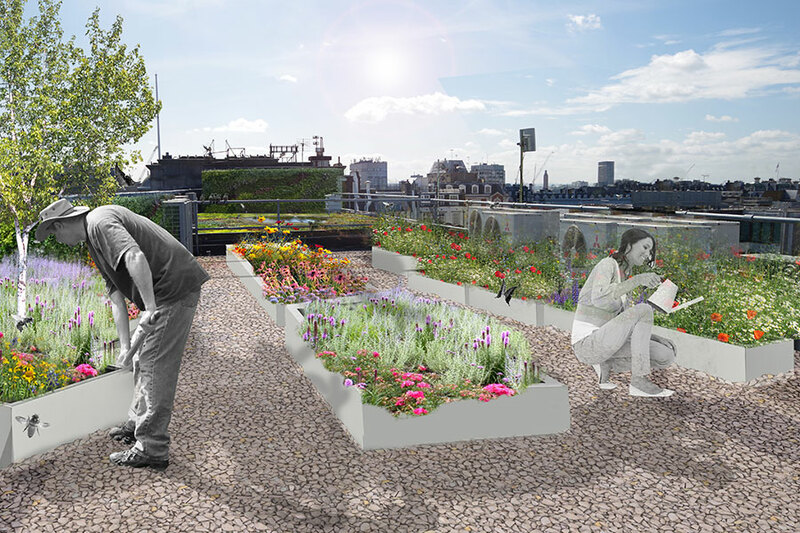 Its most important feature is the planting on the roof and on the façade. 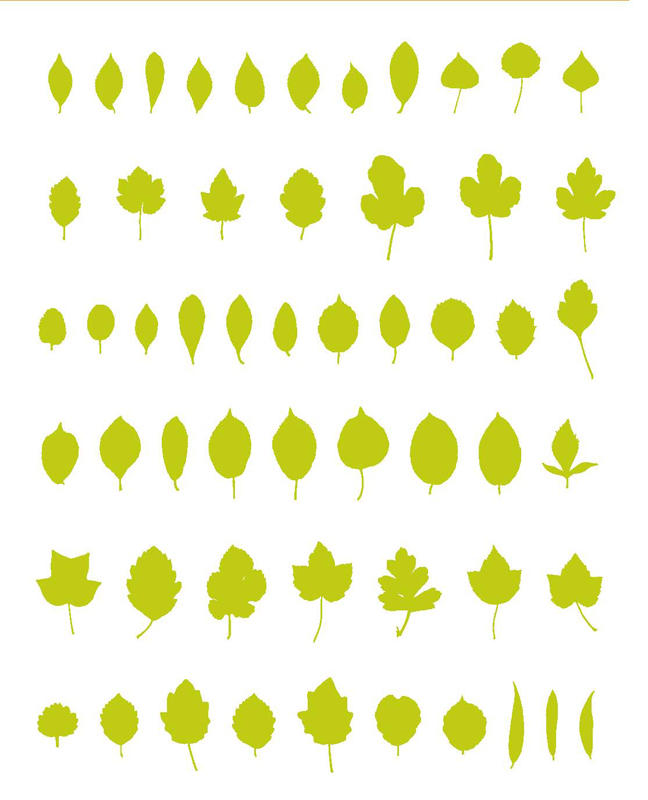 Seeds for the plants were collected from the forests around Paris. Aided by the wind and the extra height, the seeds can now be distributed throughout the city. The vegetation will constantly change the building’s appearance, and the moiré pattern of the titanium cladding gives it a subtle, fluctuating character. Various (climbing) plants and trees with a different growth rate grow along nets on the façade. The rapidly climbing vines will first overgrow the façade; the slower shrubs will follow later. Eventually, the planted young oak trees will take over. The trees stand in long, narrow cylinders. Research has shown that trees have a higher growth rate and a better health in these than in a conventional container. The entire complex consists of five buildings. 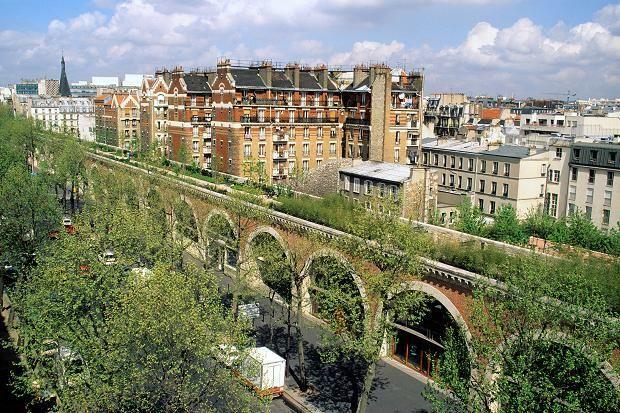 Parisians can stroll through the protected gardens that were realized for them at the street level.